Maria Petropoulou received her Bachelor Degree in Physics (2008), Master Diploma in Astrophysics (2010) as well as her PhD Degree in Physics (2013) from the National and Kapodistrian University of Athens, Greece. 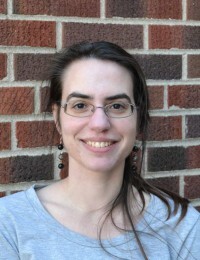 Her PhD project was funded by a co-financed European-Greek Grant (HERACLEITUS II). She has been awarded the "Best PhD Thesis Prize 2015" from the Hellenic Astronomical Society. Just before her PhD Thesis defence, she has been awarded the NASA Einstein Fellowship for Post Doctoral research (2013–2016) on the subject of "High energy radiation, neutrino and cosmic ray production from relativistic outflows". She has published 20 articles in refereed journals, which reflect her research interests in emission processes and neutrino production from active galactic nuclei and gamma-ray bursts. She is now a Post Doctoral Einstein Fellow at Purdue University, West Lafayette, USA. Maria Petropoulouʼs PhD thesis has a main focus on the theoretical study of plasma properties in compact energetic sources such as Active Galactic Nuclei (AGNs) and Gamma Ray Bursts (GRBs). Such extremely luminous sources in remote galaxies emit gamma-rays originating in a relativistic jet powered by a black hole. While most studies consider only the electrons in the jet and neglect the influence of the protons, Maria Petropoulou developed equations for a full treatment of plasmas containing magnetic field, relativistic protons and electrons, and photons. She then solved these equations via both numerical and analytical methods to describe the radiative instabilities in the ejected plasmas, which exhibit a rich temporal behaviour of prey-predator type. As a final step, she confronted her model to observations of the archetypical gamma-ray emitting blazar 3C 279. A theoretical study of the spectral and timing emission of GRB afterglows complements her PhD work. The PhD thesis of Maria Petropoulou was entirely conducted at the University of Athens, Greece, under the supervision of Prof. Apostolos Mastichiadis.